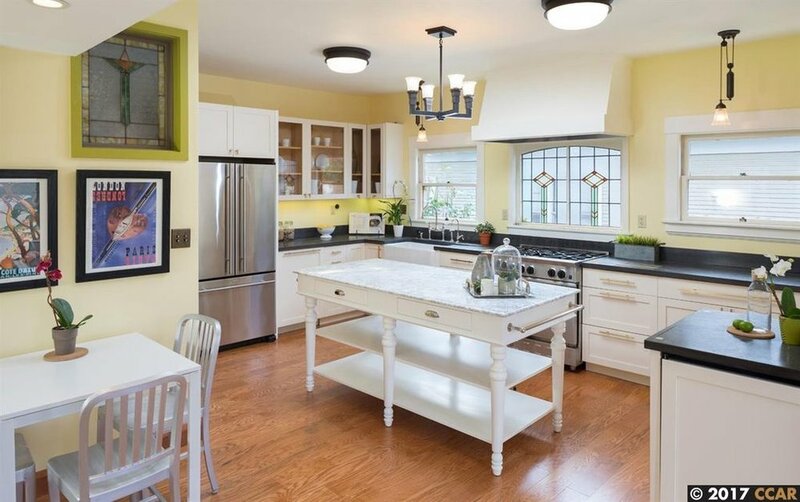 Lovingly restored 1910 Craftsman/Edwardian in the vibrant Temescal neighborhood in Oakland. Fabulously updated 2 Bed | 3 Bath where vintage seamlessly meets modern. Formal dining room with fireplace leads to a spacious living room with original wood wainscoting, leaded glass cabinets and a modern renovated chef’s kitchen with soapstone counters, a prep bar/sink, plentiful counter space and storage and a built in dish drainer. Off the kitchen enjoy direct access to a large sunny entertainer's deck with additional patio area surrounded by lush planting & citrus trees. Full basement with 1/2 bath and multiple rooms lends perfectly to expansion potential. Large detached garage would make a great studio! Walking distance is just blocks to all the best restaurants, BART and I-580. Terrific commuter home. Newer Post10 De-Stressors for Busy Lives! Older PostPatty's Real Estate Tips "Fixable Flaws"